VillageWalk at Lake Nona is an active lifestyle community located in Orlando, Florida. Virtually all homes are located on the water via an intricate network of canals. Villagewalk at Lake Nona offers easy access to plenty of attractions in a secure environment ideal for a full or part-time residence. VillageWalk at Lake Nona is a 489-acre neighborhood within the larger 7,000-acre master-planned Lake Nona community. VillageWalk is designed around a Town Center, which is the central hub for community amenities and social activities. 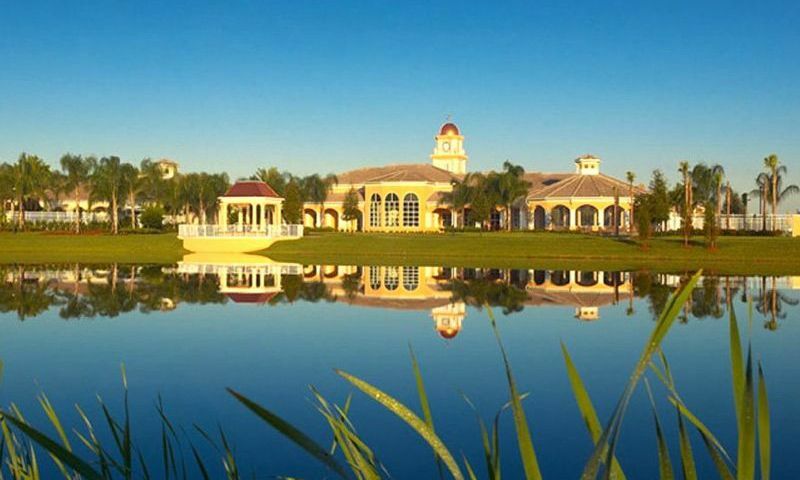 Lake Nona features lush landscapes, numerous golf courses, and world-class shopping. Pristine lakes offer many waterfront activities, such as boating, water-skiing, and fishing. At the heart of the community is the 26,000 square-foot Town Center clubhouse that offers world-class amenities in abundance. Indoor amenities include a state-of-the-art fitness center with cardiovascular and strength-training equipment, library, business center, meeting room, card room, catering kitchen and ballroom for social functions and events. Outdoors, residents at VillageWalk at Lake Nona can enjoy friendly competition on the basketball court, or enjoy six lighted tennis courts. A heated resort-style and lap pool beckons for cool-down periods in the Florida sunshine. The community also features a gazebo, event lawn, and tot lot. VillageWalk even has its own salon, deli, and market, gas station, pet boutique, and day spa, which are all located within walking or biking distance of the Town Center. VillageWalk at Lake Nona is a prestigious community of single-family homes, attached villas, and townhomes. Pulte offers a variety of different floor plans in VillageWalk, which are designed for low-maintenance living. Single-family homes range from 1,684 square feet to 4,107 square feet. There are 18 single-family floor plans to choose from including ranch models and models that offer a second-floor loft or full second floor. Models are offered with either two or three-car garages. The two attached duplex villas are designed to offer between 1,526 and 1,686 square feet of living space. Both the 1,526 square foot Capri and 1,542 square foot Carrington are ranch models with two bedrooms, two bathrooms, and a two-car garage. The Carrington model offers an additional den, which can be used as a home office or hobby room. The Townhome model, the Cayman II, has 1,835 square feet of living space spread across two floors. This model has two bedrooms plus a den, two-and-a-half baths or three full baths and a two-car garage. Many townhomes have beautiful views of canals, lakes, or waterways. Association fees for VillageWalk at Lake Nona are reasonable and vary only slightly, depending on the style of the home. These fees include all lawn maintenance and watering, cable TV, alarm service monitoring, and access to the Town Center. Features such as granite or marble countertops, tile floors, premium GE appliances, and 42-inch cabinets allow residents to live in a comfortable style of their choosing. Not only can residents at VillageWalk at Lake Nona in Orlando enjoy this worry-free and relaxed lifestyle, they also get resort-style living without the extra membership fees. The town center at VillageWalk at Lake Nona is the social gathering place with sidewalks weaving past open spaces and lakes, while pedestrian bridges give this area a European flair. Residents at VillageWalk can also join clubs such as tennis, theme parties, book, bocce, bingo, bunco, cruises, dining out, fitness, poker, and walking. VillageWalk at Lake Nona is conveniently located within the Orlando city limits on the southeast side of the city. It is just a short commute to all the world-class shopping, dining and other attractions Orlando has to offer, such as Disney World, Universal, Sea World, and Busch Gardens. There are over a dozen recreation centers in the surrounding area, as well as over 100 parks, which include scenic areas, playgrounds, and athletic fields. VillageWalk at Lake Nona is less than a 30-minute drive away from the Atlantic Ocean and the Kennedy Space Station and only a few minutes away from the Orlando International Airport. Villagewalk at Lake Nona is a resort-style community that offers a great active lifestyle to homebuyers in Orange County. Town Center - 26,000 Sq. Ft. There are plenty of activities available in VillageWalk at Lake Nona. Here is a sample of some of the clubs, activities and classes offered here. The duplex villas offer between 1,526 and 1,542 square feet of living space. These attached models have two or three bedrooms, two bathrooms and a two-car garage. The Carrington model offers a den, which can be used as a home office or bedroom. The Cayman II is a townhome that has 1,835 square feet of living space spread across two floors. This model has two bedrooms plus a den, two-and-a-half baths or three full baths and a two-car garage. The New Collection was introduced in 2012. Models in this collection range from 1,684 to 4,107 square feet with three to six bedrooms, two to four-and-a-half bathrooms, and an attached two to three-and-a-half-car garage. These homes offer great interior designs and low-maintenance exteriors. The Original Collection was introduced when the community began in 2006. These single-family homes range from 2,000 to 3,508 square feet of living space with three or four bedrooms, two to three-and-a-half bathrooms, and an attached two or three-car garage. My husband and I live at VillageWalk and our daughter, son-in-law and 2 grandkids live in Lake Nona. It is wonderful to be so close to our family and we have lots of great friends here too! The Village Center is amazing. It's beautiful to look at and has everything you could ever want. Fitness center, swimming pools, library and then outside there are tennis courts, trails, lakes ... we love it all! The community is great plus its really close to Disney which we really enjoy with the family for special occasions. 55places.com is not affiliated with the developer(s) or homeowners association of VillageWalk at Lake Nona. The information you submit is distributed to a 55places.com Partner Agent, who is a licensed real estate agent. The information regarding VillageWalk at Lake Nona has not been verified or approved by the developer or homeowners association. Please verify all information prior to purchasing. 55places.com is not responsible for any errors regarding the information displayed on this website.